Hans Holbein the Younger (1497 or 1498-1543), Painter, printmaker and designer; son of Hans Holbein the Elder. Artist associated with 315 portraits, Sitter associated with 25 portraits. 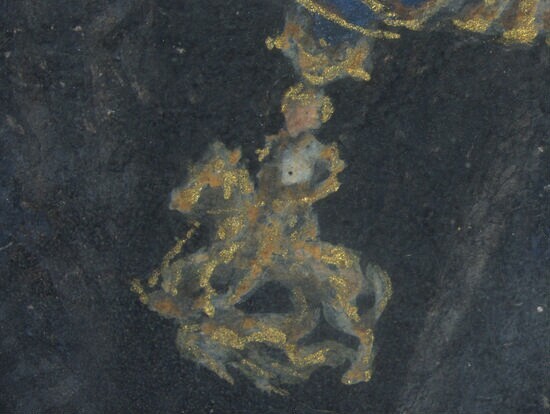 This portrait is mounted in the same case as an earlier miniature of Cromwell from which it is derived. 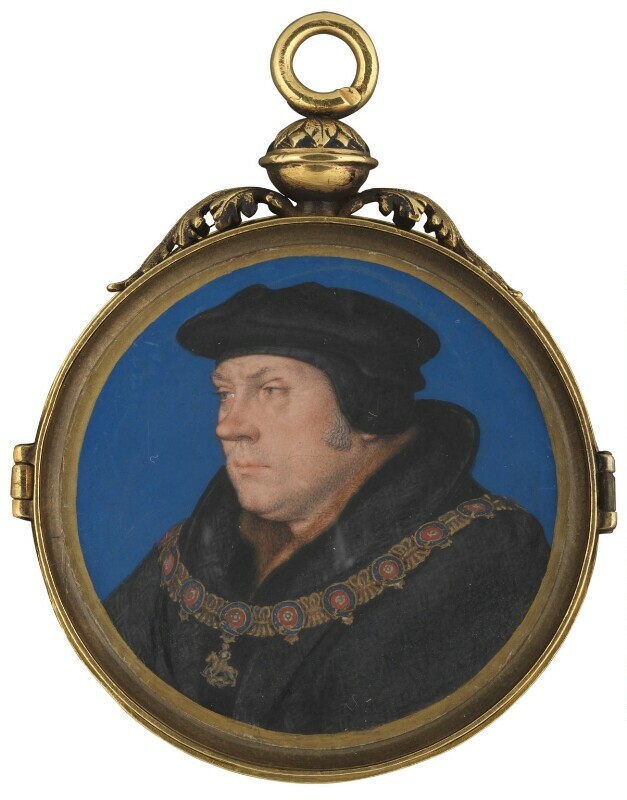 This version, probably from Holbein's studio, must have been painted following the sitter's election to the Order of the Garter in 1537 as he is shown wearing the collar of the Greater George. The gold locket is late eighteenth or early nineteenth century in date and housed both miniatures back to back. Prince Edward (later King Edward VI) is born at Hampton Court. 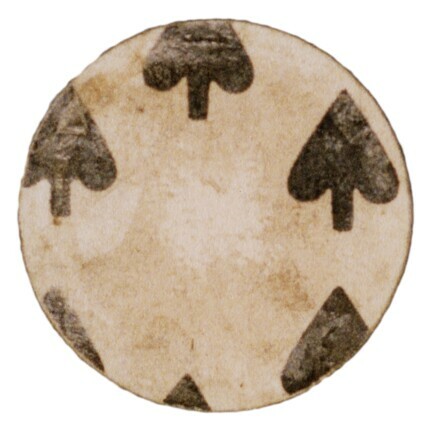 His mother, Jane Seymour dies twelve days later. Leaders of the Pilgrimage of Grace popular rising against Church reforms and enclosure are captured and executed. The English translation of the Bible by Miles Coverdale becomes the first complete Bible to be printed in England. The German artist Hans Holbein the Younger paints a dynastic portrait of King Henry VIII, his third wife, Jane Seymour, and his parents, Henry VII and Elizabeth of York, on a wall of the privy chamber in Whitehall Palace (destroyed in the fire of 1698). Francis I of France and Suleiman I, Sultan of the Ottoman Empire agree to act together against the Holy Roman Emperor Charles V.
Christian III, King of Denmark and Norway introduces Lutheran Protestantism as the state religion.